Battleship Oregon Memorial Park at the foot of SW Jefferson Street, 1940. City of Portland (OR) Archives, A2000-025.1182. 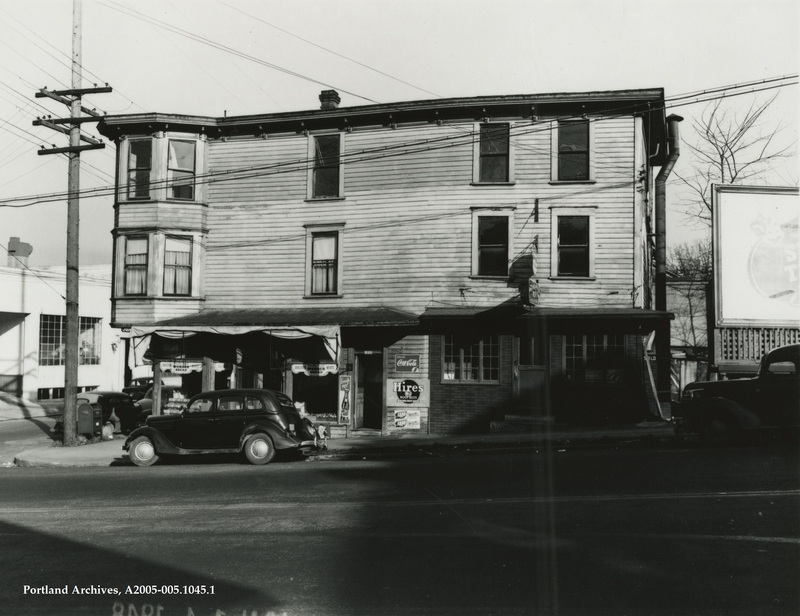 Another view of the building at 1535 SW Jefferson Street, 1948. City of Portland (OR) Archives, A2005-005.1045.1. 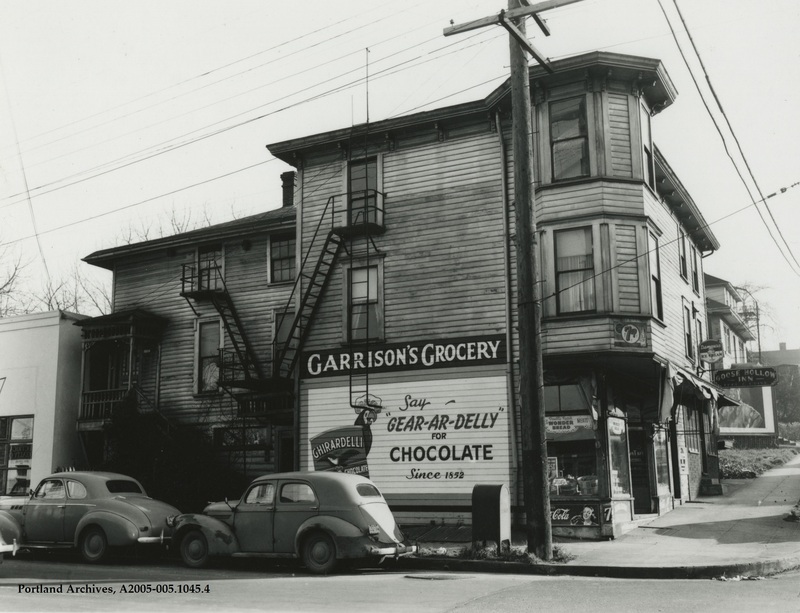 Building at 1535 SW Jefferson Street, 1948. City of Portland (OR) Archives, A2005-005.1045.4. Traffic at SW 5th Avenue and SW Jefferson Street, 1972. Many of you will be braving the traffic this morning to view the eclipse. Drive safe everyone! 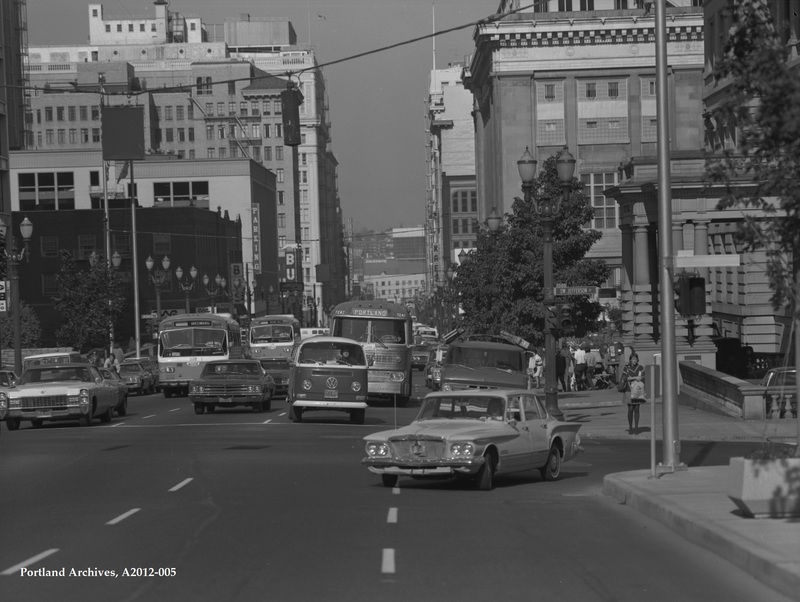 City of Portland (OR) Archives, Traffic on SW 5th and Jefferson, A2012-005, 1972. 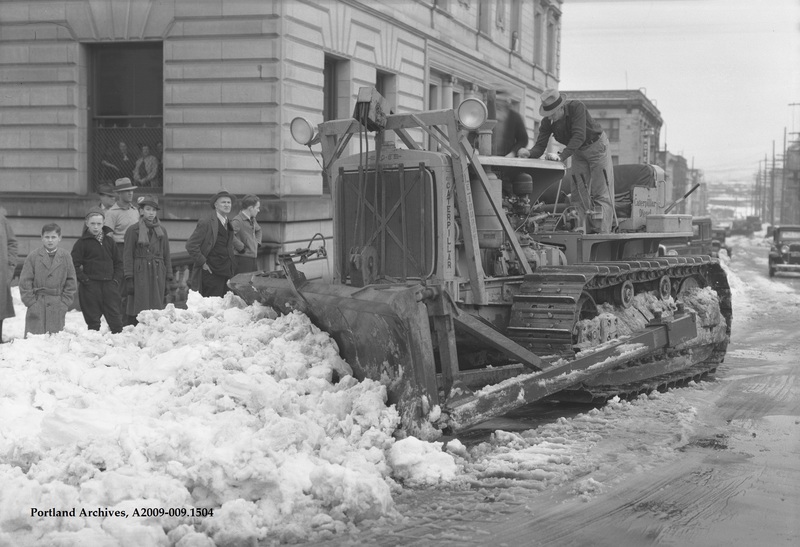 Bulldozer plowing snow near City Hall on SW Jefferson Street, 1937. 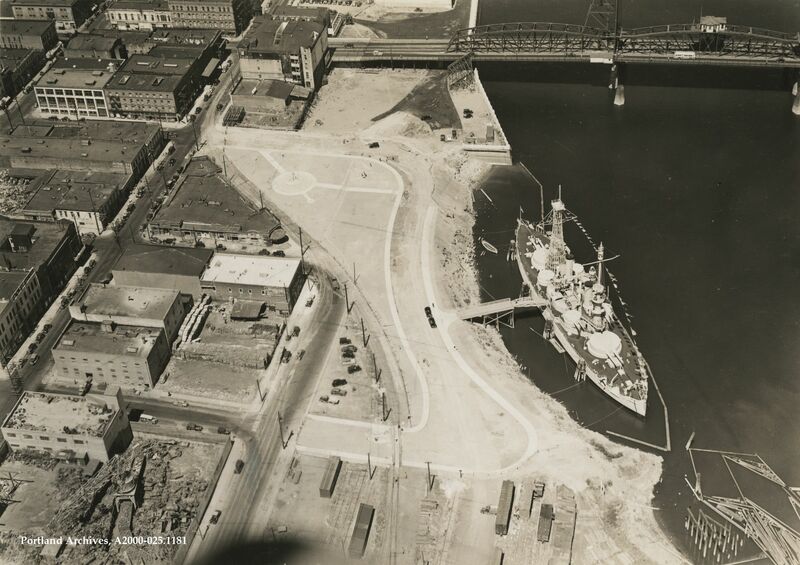 In the last post we saw an aerial of the southwest waterfront, south of the Hawthorne Bridge. 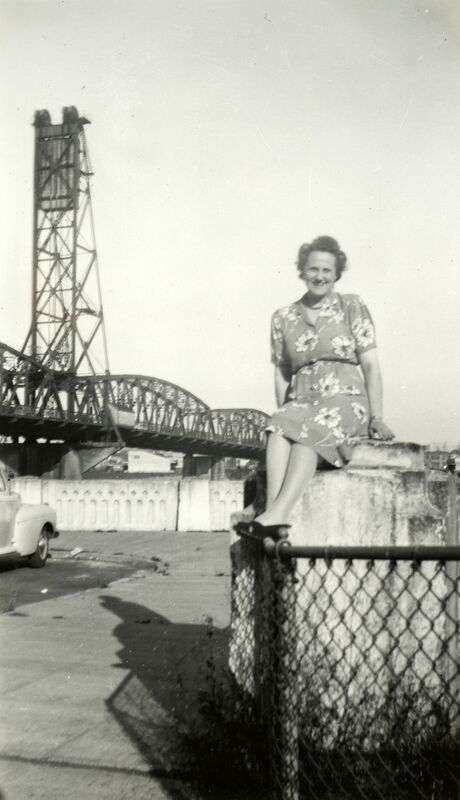 The image for today shows a woman sitting on the harbor wall seen in the aerial, about ten years later, circa 1950. Aerial of Battleship Oregon in its newly built park. 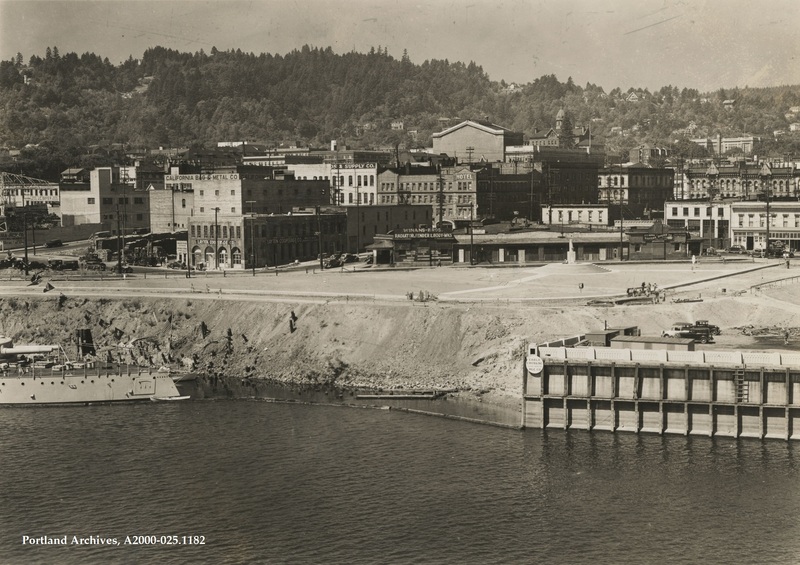 It was located on the southwest waterfront at the foot of SW Jefferson Street just south of the Hawthorne Bridge, May 9, 1940.